Virtual reality and augmented reality are often mentioned in the same breath when discussing immersive experiences and experiential technology. However, the two technologies are very different and have different use cases. In this article, we’ll take a look at just some of the different uses for VR and AR and some predictions on the future of the immersive technology industry. What is Augmented Reality and what is it used for? Augmented Reality is transforming the landscape in several industries, most noticeably in healthcare, education, training, retail and manufacturing. The ability to overlay digital content over the users’ view of the real world means that it has various practical uses. Manufacturing practices, in particular, can be greatly improved through the introduction of AR technology. Augmented reality is already playing a significant role in the improvement of productivity, efficiency, and safety in manufacturing plants around the world. What is Virtual Reality and what is it used for? Virtual Reality is all about transporting the user into another world through complete immersion. This is achieved by hijacking our senses. VR tricks the body into thinking that it is present in a virtual location. Immersion is achieved not only through sight and sound but also from our sense of movement and balance. VR is a powerful tool for storytelling and inducing emotions, such as empathy, in the user. VR is also a valuable training device for creating scenarios in which employees can learn by doing without any consequences. Creating a virtual environment where users can safely make mistakes and learn from their actions is a very effective method of learning. This method can prove to be more efficient and cost-effective in the long run for organisations. Goldman Sachs’ researchers see video gaming as the industry’s most promising use case with live events and video entertainment being the other major consumer-focused applications of VR/AR technology. They predict that the industry will reach a value of $80 billion a year ($35 billion software and $45 billion hardware) by 2025. According to PRNewswire; VR adoption among retailers appears to have increased as the number of VR device owning consumers continues to grow. Virtual Reality devices have had a larger market share than AR in 2017, with 60%. Although virtual reality is currently leading the way in terms of sales and use cases; it is augmented reality that many are backing in the long run due to its more practical use for business and manufacturing. Goldman Sachs’ estimates that almost half the industry’s revenue will be generated in the enterprise and public sector with healthcare and engineering being the most promising areas of use. 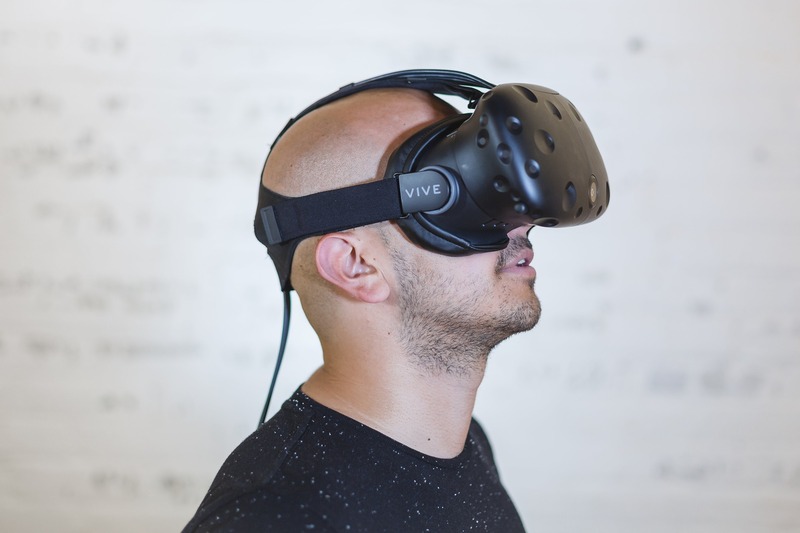 New research reveals that immersive technology delivers better efficiency, productivity and safety for enterprises, and that augmented, rather than full virtual, reality will lead the way for business operations. 82% of companies currently implementing AR/VR say the benefits are either meeting or exceeding their expectations. While 66% of organisations surveyed believe that AR is more applicable to their business operations than VR. Of the companies found not to be implementing some kind of immersive technology in their business operations; 50% planned to introduce it in some form within the next three years.